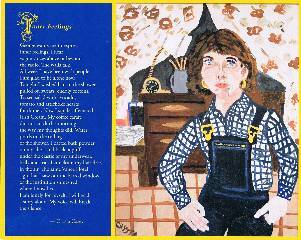 A limited edition broadside in honor of Crysta Casey (1952-2008). Everyone involved with the Seattle poetry scene knew and appreciated Crysta. Her life and her work were a remarkable combination of guts and grace. We all miss her. This broadside was produced thanks to the generosity of Deborah Woodard and George Stamas, and thanks to the design expertise of Anita Boyle at Egress Studio.